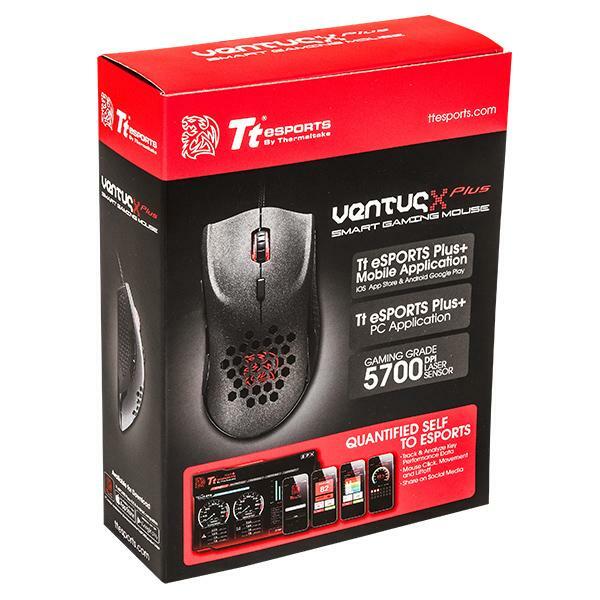 The VENTUS X Plus+ SMART MOUSE – with patented SMART design is equipped with an integrated Bluetooth communications device that enables it to sync with mobile devices (iOS/Android) & PC via the Tt eSPORTS PLUS+ application and the Tt eSPORTS PLUS+ Community & Data Management Platform. This enables it to track key mouse usage statistics such as click, movement and liftoff, which can be saved onto the cloud with social media integration for information sharing and review of these key performance criteria. This mobile application is an application made for the Tt eSPORTS SMART SERIES that offers a user-friendly UI to record and display gaming performance. With Bluetooth 4.0 technology built-in, it records gamers’ performance statistics to the Tt eSPORTS PLUS+ PROFESSIONAL application, breaking them down by distance, clicks, actions per minute, and lift-off. In addition, the Tt eSPORTS PLUS+ COMMUNITY & Data Management Platform further analyzes your stats, compares your usage with pro players and enables you to challenge your friends to mouse usage competitions. The Tt eSPORTS PLUS+ PROFESSIONAL mobile application is currently available for download on iOS/Android & PC device . The Tt eSPORTS Plus+ application is available for the iOS/Android mobile device and PC device of your choice. The application will offer a user-friendly UI to record and display stats. 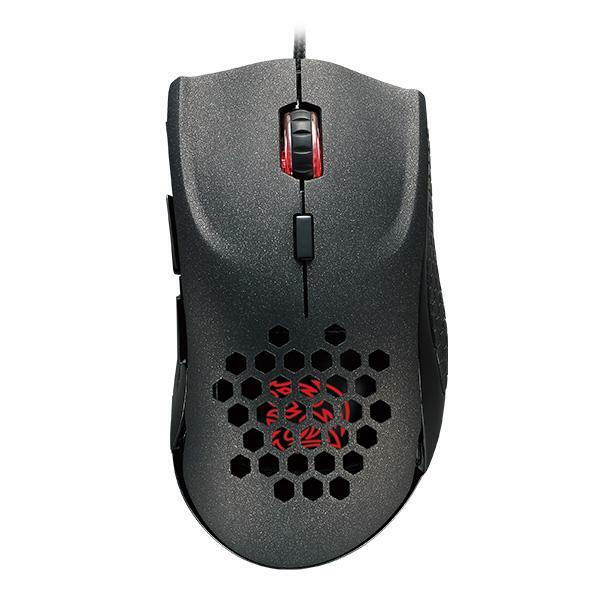 The VENTUS X PLUS SMART gaming mouse offers up to 10000 DPI that can be adjusted on-the-fly to allow you to move with precision and pinpoint accuracy during gameplay. Powered by an ARM 32 bit microcontroller, the VENTUS X PLUS provides lightning-fast processing power and speed to handle the most demanding of calculations, without compromising valuable computer resources. 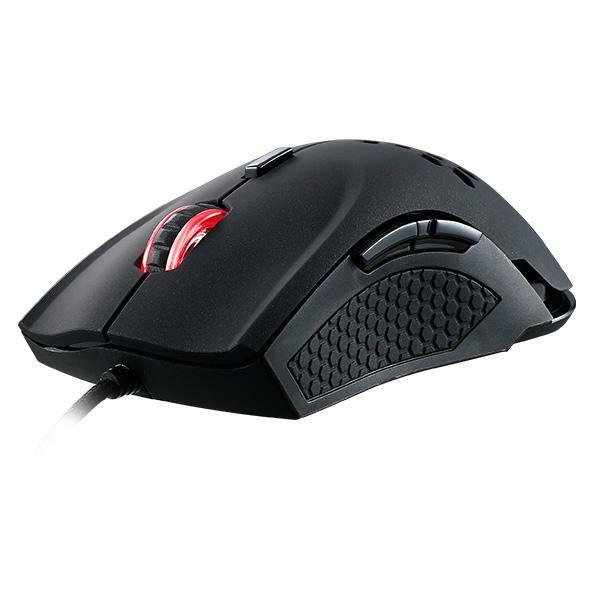 The use of high quality OMRON switches provide a truly enhanced tactile response from each click; and with a 20 million click lifecycle, the VENTUS X PLUS gaming mouse plans to compete as long as you do. 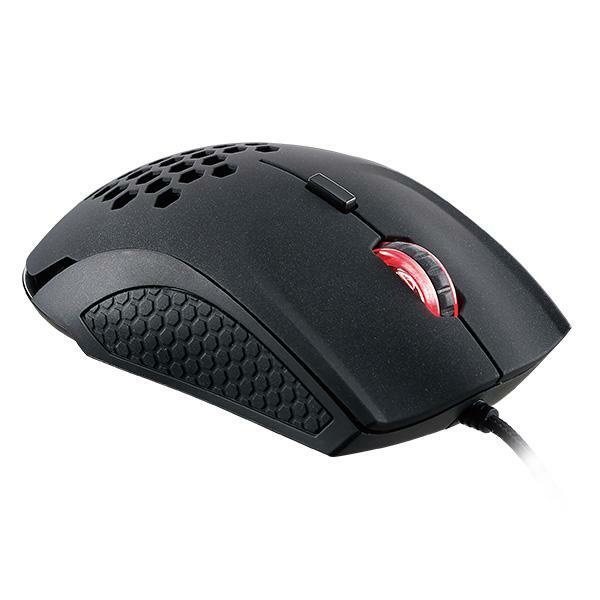 The VENTUS X PLUS mouse is built for those looking for customization. It’s built with 256kb onboard memory and 6 programmable that can store up to 5 profiles for macro, DPI and lighting effect adjustment, which allows for easy to use plug and play convenience for different systems. Save and recall your favorite settings in an instant. Specially advanced coated material covers each zone of the VENTUS X PLUS for improved comfort and durability, whilst creating a perfect balance between the areas required for essential grip, and areas for soft touch during your gaming sessions. 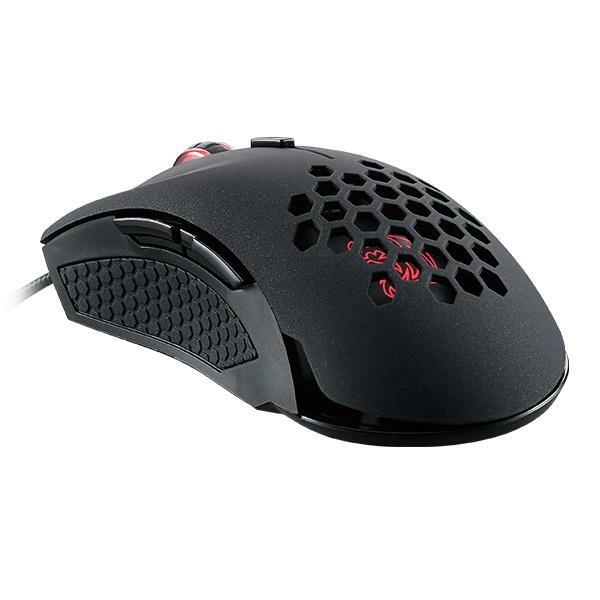 Get your mouse feeling the way you want. 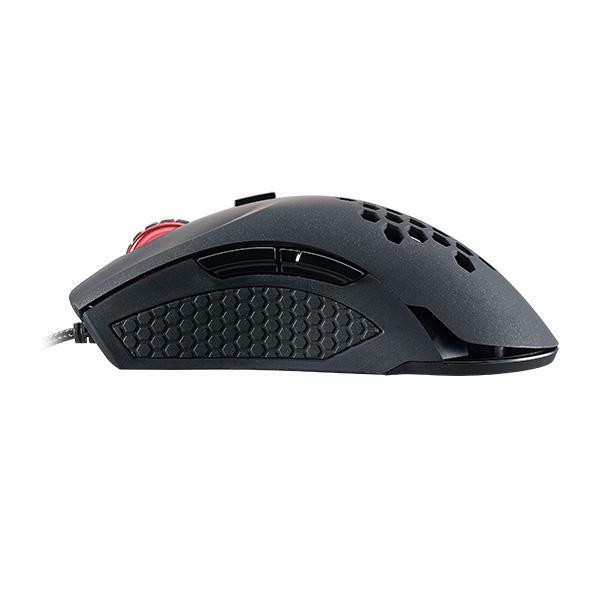 With a fully adjustable in-built weight system you can customize the VENTUS X PLUS mouse to have the perfect feel in your hand - allowing you to concentrate on your game better than ever before.